Welcome To Machinarchy with Alphawezen! When the music is German, is named in French and sung in English it might seem an exaggerated mixture of languages. However, Alphawezen shows that, we are indeed in a Europe full of influences that can give to the music unique characteristics. En Passant succeeds L’Áprés-Midi D’un Microphone (2001), from which some of the tracks were played during the modern dance production 0110move in Expo 98 (Portugal) and were also released the fantastic Gai Soleil and Into The Stars. While the first album was more downtempo and experimental electronic, En Passant shows a great evolution of Ernst Wawra and a greater attitude in Asu’s voice when mixing downtempo, electro and minimal. Speed Of Light can establish a bridge between the two albums, while the miminal tracks Welcome To Machinarchy, Prophétique De Cerveau and I Like You tear away with the compassed and calm sounds of the introspective White Noise, the instrumental Wald2 and the delicious Rain. 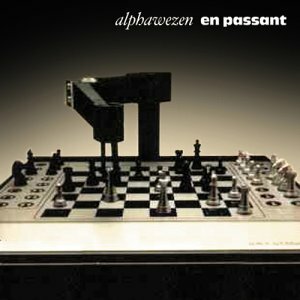 In this way, this album showed Alphawezen’s audacious attitude and led to the balance between downtempo and minimal on their third album Comme Vous Voulez, only possible after a few interesting experimental moments visible on En Passant. 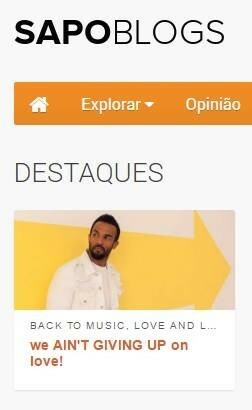 Quando a música é alemã, tem nomes em francês e é cantada em inglês pode parecer uma mistura de línguas um tanto ao quanto exagerada. 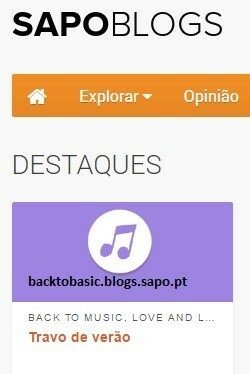 Porém Alphawezen mostra que, de facto, estamos numa Europa recheada de influências que podem atribuir à música características únicas. En Passant sucede L’Áprés-Midi D’un Microphone (2001), do qual algumas das faixas estiveram presentes na Expo 98 (Portugal) na produção de dança moderna de 0110move e de onde foram extraídos os fantásticos Gai Soleil e Into The Stars. Enquanto que o primeiro álbum se caracterizava por momentos downtempo e pelo electrónico experimental, En Passant mostra uma grande evolução de Ernst Wawra e uma maior atitude na voz de Asu ao misturar o downtempo com o electro e o minimal. 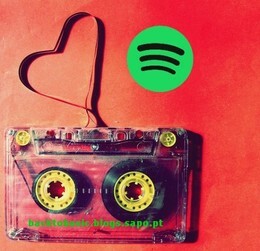 Speed Of Light consegue fazer a ponte entre estes dois álbuns, enquanto que os temas minimal Welcome To Machinarchy, Prophétique De Cerveau e I Like You rasgam com a sonoridade calma e compassada do introspectivo White Noise, do instrumental Wald2 e do delicioso Rain. Desta forma, este álbum demonstrou uma atitude arrojada de Alphawezen e conduziu ao equilíbrio entre o downtempo e o minimal no seu terceiro álbum de 2007 Comme Vous Voulez, só possível de ser alcançado após momentos experimentais interessantes visíveis em En Passant.